Point/Counterpoint: Do nuts belong in cookies? The Capulets and the Montagues. Sharks and Jets. Ali-Frazier. Such rivalries have nothing on the truly divisive issue of our time: Nuts-in-cookies versus no-nuts-in-cookies. The issue has torn apart families, broken up marriages, ruined lives. But we are not about to lay down our swords. No, we Takeout staffers with opposing viewpoints wish to settle this epic battle once and for all, and to the victor will go…I don’t know, the cookies of her choice, I guess. A cookie with nuts is like a fridge without beer—something crucial and wonderful is missing. Nuts play a dual role in the ubiquitous chocolate chip cookie, for example, enhancing both flavor and texture. A chocolate chip cookie sans nuts is just a disc of refined sugar and low-grade cocoa mounds. Nuts—ideally, toasted—contribute a necessary richness to the otherwise too-saccharine cookie. And if the cookie is baked with decent-grade vanilla extract and brown sugar and nice chocolate, the nuttiness forms a sort of earthy bridge to these flavors. (What I’m saying is, they really tie the room together.) Additionally, they emit an integral crunch that soft-baked cookies especially demand. It’s not that I don’t like nuts in things. Cashew chicken. Pine nuts in salad. Chunky peanut butter. But what are they doing in my cookie? 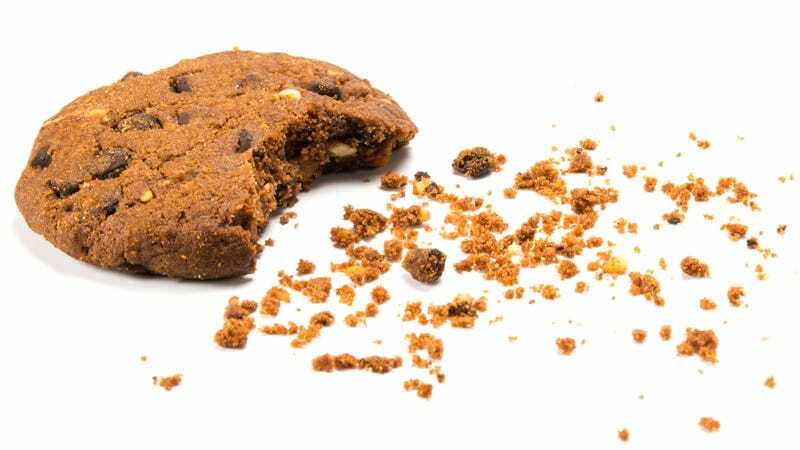 When I’m diving into a chocolate-chip cookie, I don’t want anything to get in the way between me and the main event: the chocolate. So what’s that lifeless nut doing there? I don’t get the room-enhancement you’re talking about Kate, but then, I haven’t added roasted nuts to my cookies. But honestly, I’d rather add something fun like a butterscotch or toffee chip, coconut, or even a goddamn raisin that would at least add to the flavor mix. Peanuts or walnuts in that same combo just add a plain, beige disc that I have to chomp through to get to the good stuff.